The struggle is real when it comes to packing a jacket in your suitcase and it usually takes up a good chunk of your carry-on bag. If you hate wearing bulky jackets then Windyce™ could be perfect for you. Now, beat the chilly winds with this portable, stylish, warm, and packable jacket. Layer it up with your clothes and create your own style statement. The White duck down filling provides you with extra warmth and comfort. Its ability to pack easily into a pouch makes it a great compact piece for the active traveler. Portable and Ultra-light design: Made from an incredibly light and breathable fabric, Windyce™ keeps you warm but not weighed down. You can squish it down to fit into the bag, making traveling hassle free. It is designed with down filling to eliminate bulk which makes it strong and durable enough for your winter adventures. Windproof: Windyce™ is built with premium quality material to stand up to freezing temperatures and howling winds. Whether you are commuting for work or going on a trip, Windyce's breathable nylon shell fabric keeps you protected from the wind. Warm and Comfortable: It features stretch -knit liner fabric, elastic cuffs, hood and multiple pockets for your all-day comfort. The polyester lining and microfiber retain heat and the snug fit design keeps you warm and cozy. 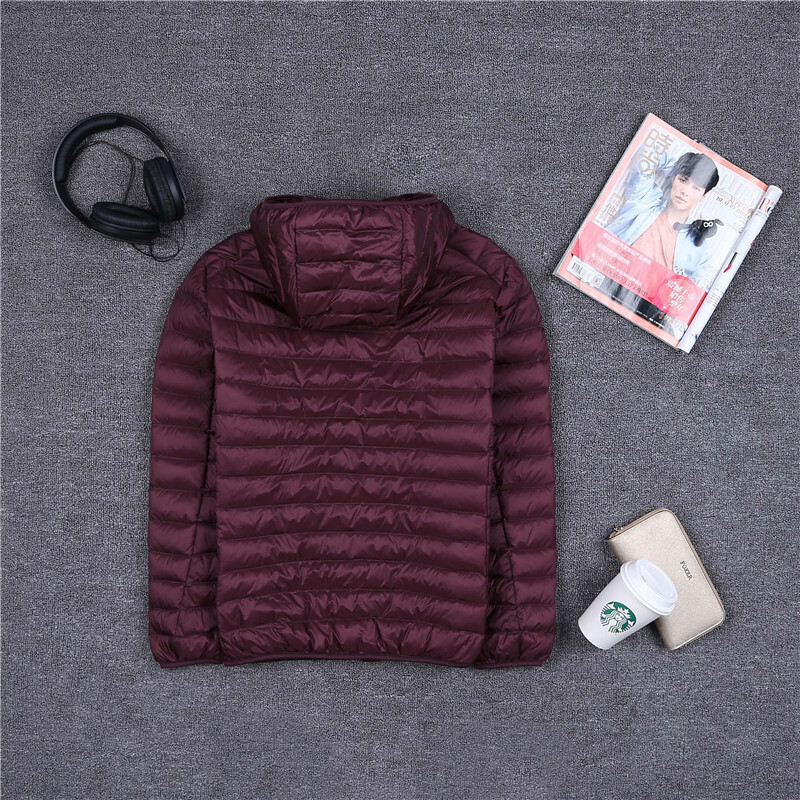 No matter what fun, adventurous, outdoor activities you have planned, this durable jacket would make the perfect companion.